I love this notebook. It’s beautiful. I was given it as a gift for Christmas – thank you Aunty Eileen! – and when we first launched 21 Days to Happiness in January I thought writing down the things I’m grateful for, the things that make me happy and journaling on all things happiness was the perfect use for the happy making book. Day 1, 11th Jan – It began so well. I had an hour long train journey home, turned over the first page and my thoughts just kept flowing. I was writing so much that I didn’t actually finish my point before the train pulled into my station. However, on my walk home I continued the task in my head, intending to write down my heartfelt praise when the opportune moment next arose. Apparently that moment never arrived. Or it did, but it was fleeting and I missed it. 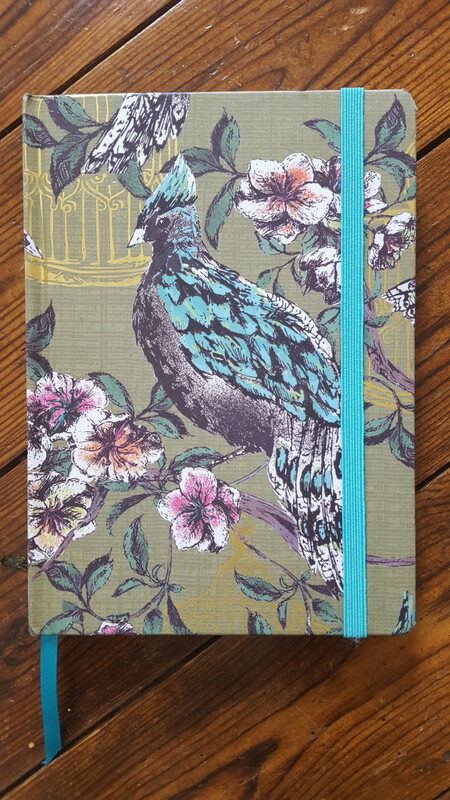 It’s true, Beautiful Journal – I so do! So we have re-launched 21 Days. We’re technically on Day 3 and I may be a little behind with my writing, already! This will take dedication. But by the end of these 21 Days my beautiful book will be filled with all things that make my heart warm whenever I flip through the pages. The writing needn’t be long. Nor in-depth. Nor particularly meaningful. But it will make me happy. Ahhh, isn’t it funny, how life happens and derails our intricately crafted plans? Back to your beautiful notebook then. It is very likely you are different than you were in January. We grow and we change, so what you will write now, will be that more fascinating, richer by that slightly longer life experience.. even if it’s only by three months.